With over 20 years of experience in leading change management, strategic planning, organizational design, 360 feedback, mentoring, employee engagement, team development, process re-engineering, succession planning and executive coaching initiatives, Colette routinely works with Fortune 500 clients and their executive teams to design and implement organizational and leadership development initiatives with the sole purpose of producing tangible, measurable business results. Utilizing her academic training and practical experience, Colette has a keen talent for designing end-to-end OD strategies that align with the company’s overall business strategy, succession planning, and leadership development initiatives. Her consultative approach includes partnering with leaders at all levels of the organization to identify and address talent management opportunities and developing action plans to close identified gaps. A proponent of the whole systems methodology, each project she manages includes organizing key job performance indicators, creating reliable measurement systems to assist management in identifying superior performance, designing and managing organization needs assessments to determine the skill and competencies needed to drive the business strategy, serving as an assessor of management performance capabilities to identify fit for current and future roles, assisting the organization in managing the structural and cultural changes manifested by expansion and pressures on earnings, consulting with various business units (ie., finance, marketing, operations, IT, etc.) to determine “best-fit” learning and execution strategies. 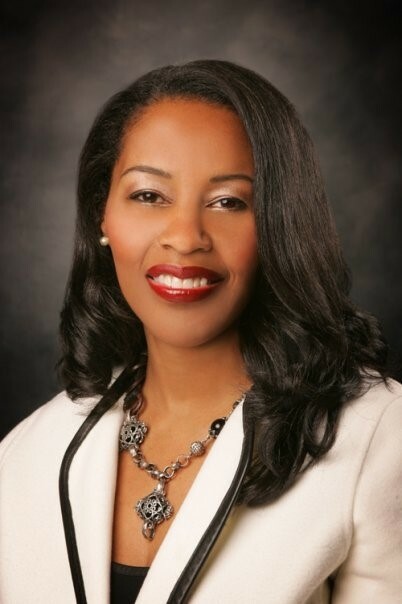 She has worked with numerous clients including WR Grace, United Airlines, Ameritech , KPMG, SecurityLink, Comcast Cable, Walt Disney World, Ernst & Young, Productivity Point International, Firemen's Fund, Allianz, DJ Ortho, Thoratec, DeVry University, Wycliffe USA, Monterey Peninsula Hospitals, Jamba Juice, FASS Credit, Alain Pinel Realtors, The Kaleidoscope Group, US Forest Service, Macy’s East, and Ross Stores. “Colette is a seasoned professional who specializes in driving large scale organizational change--her technique and approach in identifying, initiating, and implementing short and long term business strategies has resulted in a more engaged and highly productive employee population overall.” – Executive Vice President Operations, Ross Stores, Inc.
Colette’s consulting practices have been recognized as best-in-class by organizations such as DDI, Jamba Juice, Comcast Cable, United Airlines, and Monterey Peninsula Hospitals. Profilor® by Personnel Decisions Inc.
Colette holds a Master’s degree in Educational Administration/Organization Development from New York University and a Bachelor’s degree in Business Education from Pace University in New York. Colette is an avid traveler that has practiced her craft across four continents—Australia, South America, Asia, and Europe. She enjoys physical fitness, reading, comedy theatre, studying ancient texts, and the risks and rewards that accompany real estate and property investments.